Three British siblings, separated by geography, face different issues of cultural and family identity that ultimately unite them. Isma, the oldest, has left London to study in America, but she is desperately worried about her brother Parvaiz, who has gone to Syria to follow in the footsteps of his jihadist father. The youngest, Aneeka, has become close to Eamonn, the son of an important politician whose platform on immigration will challenge their relationship. An immersive and explosive exploration of many different kinds of loyalty: to family, to one’s country, to one’s own heart, this novel had me holding my breath all the way through. 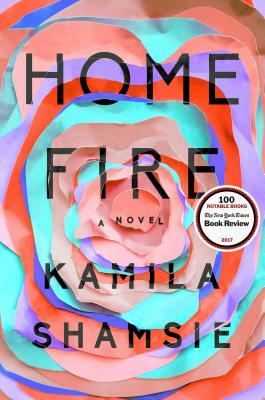 Also, Kamila Shamsie studied at UMass Amherst, so the college town where Isma spends some of the novel is very much inspired by Western Massachusetts.